Two leading Southampton academics were elected as Fellows of the Royal Academy of Engineering at the Academy’s AGM in London this week. Andy Keane, Professor of Computational Engineering and Director of the Rolls-Royce University Technology Centre for Computational Engineering, and Harvey Rutt, Rank Professor of Infrared Science and Technology, were elected as Fellows in recognition of their contribution to engineering. Professor Keane is distinguished for his research in the field of aerospace design, with over 200 articles and four books on the subject. He founded the UK’s largest research group dedicated to computational aerospace design and has successfully commercialised his research. 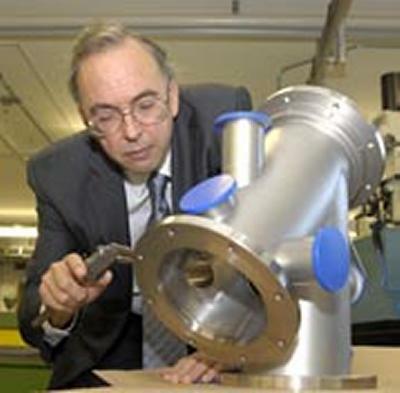 Professor Rutt has made a lifetime of outstanding research contributions to electro-optical research and development in laser technology for industrial application. Significantly he has been responsible for leading a major recovery and rebuild of the award-winning £100 million Mountbatten building, a national research facility for optoelectronics and micro and nanotechnology at the University of Southampton, which was destroyed by fire in 2005. Sir William Wakeham, KB FREng, Emeritus Professor and former Vice-Chancellor at the University of Southampton, was also confirmed as the Academy's Senior Vice President. A total of 59 new Fellows joined the Academy, representing the most eminent names in the profession from the UK and overseas. In total, 50 UK Fellows have been elected with six International Fellows and three Honorary Fellows.